Raspberry ketones have been the subject of a lot of buzz due to scientific research into what they are able to do in terms of promoting weight loss. Suddenly, you can find these supplements everywhere and they all claim to be better than the last one you saw. So how do you choose among them? Fortunately, we have taken the guesswork out of your decision on one of the top contenders by breaking it down into all the facts you need to decide for yourself. Read of for all the details in our review of aSquared Nutrition Raspberry Ketones to determine if this one is the real deal. 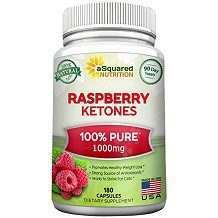 Pure Raspberry Ketone is the active component and the only one in this product’s formula. 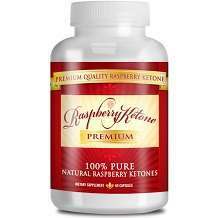 Raspberry ketones are meant to break down fat cells and help your body more easily burn them. In addition, ketones boost your metabolism to help your body burn fat even when you aren’t actively exercising. The inactive ingredients include Vegetable Cellulose, Rice Flour, Silica. The recommended dosage for anyone taking this product is two capsules per day. While it is not specified whether it is advisable to take this along with a glass of water or a meal, other similar supplements have encouraged this. There is a disclaimer about this product that suggests that you should consult your doctor before taking anything new. What we didn’t find through either the user reviews or other sites that relate to this product was any note of side effects that users were experiencing. Similar products have offered a word of caution to those that were taking other medications regularly, or who are nursing or pregnant. No such warning about this particular supplement that could be found. You can buy a 90-day supply (a bottle of 180 capsules) for $29.99 from the manufacturer’s website. While you can buy them in bulk packages that offer you more savings with the more you buy at once, even the $10 per month cost doesn’t seem overwhelmingly steep. What could easily be found when researched this product was their money-back guarantee. While that in itself should be positive, the fact is that the refund policy is only good for 30 days from the date of purchase. This does not seem like enough time, to give the product an adequate try. The results seem to be pretty positive when you consider all of the facts about this product. The advantages include a reasonable cost and many positive customer reviews. But there are also a handful of drawbacks that you should take into account when making your final decision about this product: Unclear warnings/missing disclaimers, incomplete usage directions, and a weak money-back guarantee. Ultimately final choice in the matter is yours as to whether you try it for yourself or not, but people do seem to have well-documented successes with it, at least according to comments in online retailer review forums. That short return/refund timeframe, though, is a concern from our point of view.